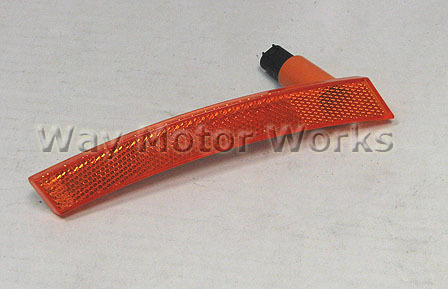 Front amber arch light for 2002-2006 R50 MINI Cooper and Cooper S and 2005-2008 R52 MINI Convertible. These lights are commonly broken from bumping into thing, or people bumping into your MINI. Sold individually or as a pair see options below. Light comes complete with amber lens, does NOT include bulb and bulb socket.